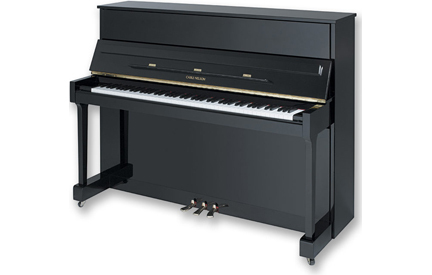 The major advantage of Cable-Nelson pianos is their excellent Yamaha quality at a surprisingly low price. The expressive instruments are designed by Yamaha master craftsmen and built by Yamaha in China. They include premium woods, acoustibars, extruded aluminum action rails and copper wound bass strings – standard features you would expect from Yamaha pianos. With all this quality, Yamaha confidently backs these pianos with a thorough 10-year warranty and service support, two more important advantages.For decades, Cable-Nelson was a significant brand in America. In the care and development of Yamaha, it is again. Cable-Nelson: quality in every key.